One of the most efficient ways to generate leads is by using a content marketing campaign. Improving the content on your web site will increase the chances of people buying your products and services. This is because with good content, you become the source of expertise and trustworthiness for prospects, which gives prospects a great first impression and easily converts them into paid customers. But what if you’ve had a web site for years and still struggled to gain traffic and leads? This is where a professional content audit comes in. Here’s what you need to know about the benefits of using content audits, and how they can lead to a more successful content marketing strategy. Content Audits: What Kind of Content Brings in Qualified Leads? When a professional provides a content audit, they should ask whether the content created value for your business’s marketing goals, or the prospect engagement. They should also ask if the content helped current customers get more value through the use of your product or service. If the content on your web site does not meet the needs of your target audience, you will struggle to find conversion. In this case, it would be imperative to adjust your content inventory by eliminating what doesn’t work and creating more of what does. Every successful content marketing agency should focus on the following goals when creating a campaign: define a critical customer group, determine what information customers want and need, deliver the right information at the right time to convince conversion, and maximize the impact. 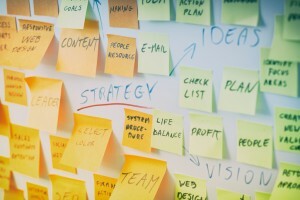 A good content marketing strategy will follow these important steps. 1. Determine your goals by finding the main purpose of your campaign, whether that be generating leads, increasing sales, educating customers, or building brand loyalty. 2. Research your target audience. This can be done by determining customer demographics, psychographics, developing user personas, or conducting keyword research. 3. Establish your business’s unique selling proposition. You can do this by reviewing your competitors’ web sites and content, conducting a search engine optimization (SEO) assessment, auditing social media to see what prospects are interested in, evaluating customer feedback, market research, and analytics. It is also important to look for content gaps and fill them with the appropriate material. 4. Use a content inventory to find out which content can be leveraged for future marketing efforts. 5. Develop a plan to deliver your content to meet your primary goals. To do this, you must determine specific topics to cover, the channels of delivery, and broad strategic groupings of content. 6. Creating an editorial calendar will help you determine the schedule of topics and features to be covered across all channels. To make sure your content is relevant and timely, consider covering your organization’s marketing themes, industry events, sales events, holidays or seasonal promotions, and product launches. 7. The last step is to determine and establish the analytics. The metrics could include open rates, click-through rates, conversion rates, total sales, web page views, SEO rankings, social media responses, and downloads. Having web site content that is not search engine friendly is only one of the many reasons why your business may not be generating as many leads as it should. A lack of traffic to your web site, obsolete or irrelevant content, or missing pages may deter customers away from your products and services and into the arms of your competitors. To prevent this from happening or continuing, you would benefit from meeting with a content marketing agency in Toronto. 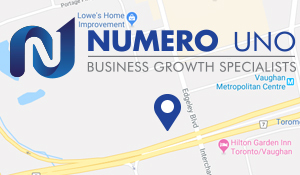 Numero Uno Web Solution’s content auditors and marketing experts can help you improve your startup or small business web site’s SEO and more. We have benefitted businesses in Toronto, Richmond Hill, Vaughan, and we have even extended our services to Texas, Massachusetts, and Florida. To learn more about our content audit software, tools, and services, call us at 1-855-SEO-XPRT.